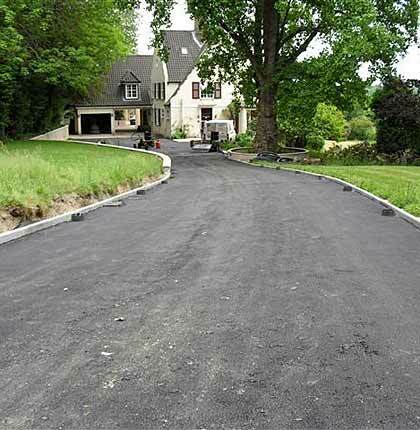 Widely known as "Tar & Chip", this is a surface dressing that provides a hard wearing and decorative finish, suitable for both light and heavy traffic. 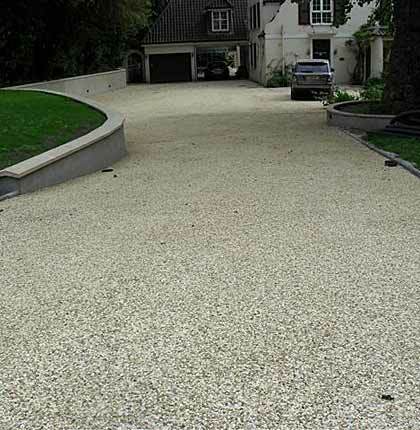 This surfacing is suitable for both domestic and commercial projects. 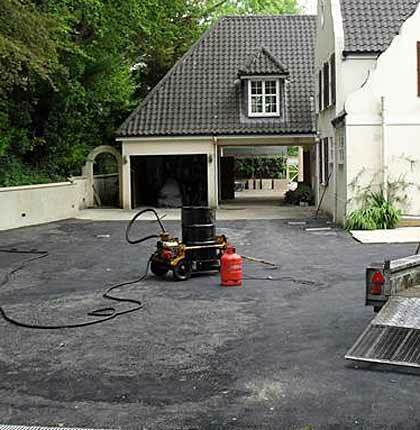 The process involves a hot bitumen, known as k170, being sprayed onto an existing tarmac/concrete or base prepared surface and then overlaid and embedded into the hot tar, using either 6mm or 10mm shingle, available in various colours. 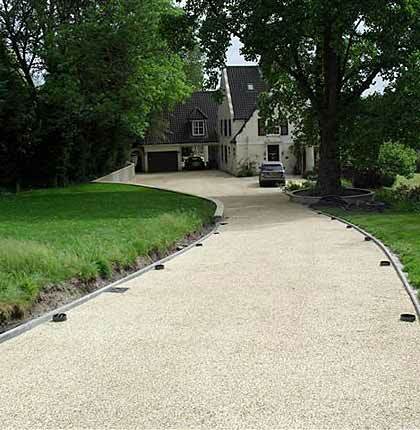 This is a cost effective and attractive route to a natural stone finish that can be used on domestic driveways and hardstands, commercial car-parks and private roads. 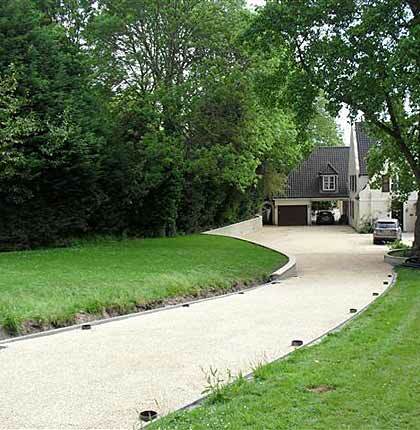 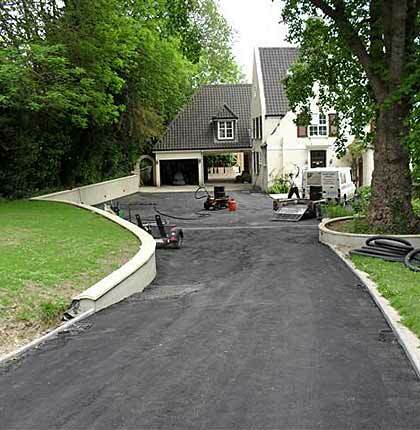 Hampshire Driveways cover Hampshire, West Sussex and surrounding areas with this surfacing method. 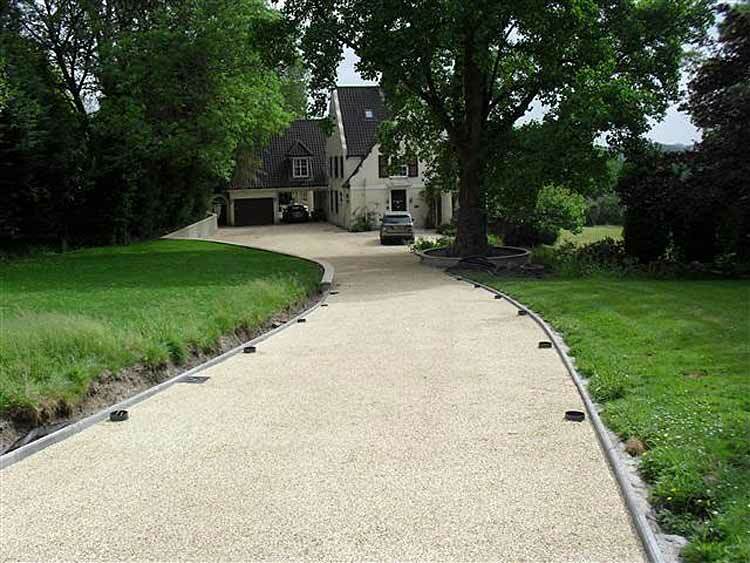 Please visit our other pages which provide details about tarmacadam driveways, resin bonded and resin bound driveways and block paving.